Works with the CS400 Series scopes. 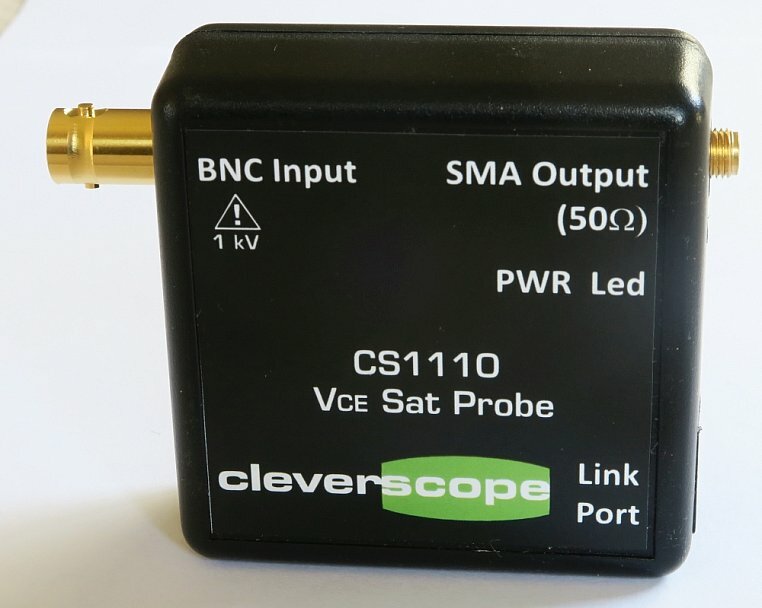 Vce Sat probe, clips at 5V to allow isolated measurement of transistor VCEsat while VCE swings up to 1000V. Includes isolated power and control Link cable to CS448.